The range-topping M850i version of the new 8-series is far from slow. With 523bhp being pummelled through a trick all-wheel drive system, it’ll happily shoot you off the line and to 62mph in just 3.7 seconds. But that’s not where the 8er ends in terms of performance. 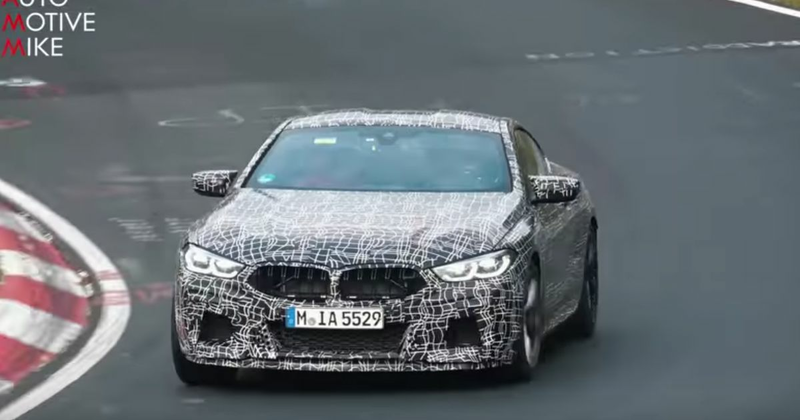 M Division is busy prepping an M8, and a test mule has been filmed smashing around the Nurburgring Nordschleife. It’s expected to use the same 4.4-litre twin-turbo V8 engine as the current M5, something which is as good as confirmed by the exhaust note. It’s the same curious, almost flat-plane-like howl as the one belted out by the M5, a side-effect of the manifold layout rather than the crankshaft - it still a cross-plane V8, despite how it sounds. Assuming it’s running the same tune, it’ll be good for 592bhp on paper, and probably more IRL. Whether or not it’ll have the same switchable four-wheel drive system as the M5, we’ll have to wait and see. We’re anticipating a reveal date well in 2019 for the coupe, with a convertible and a five-door Gran Coupe version following shortly after. 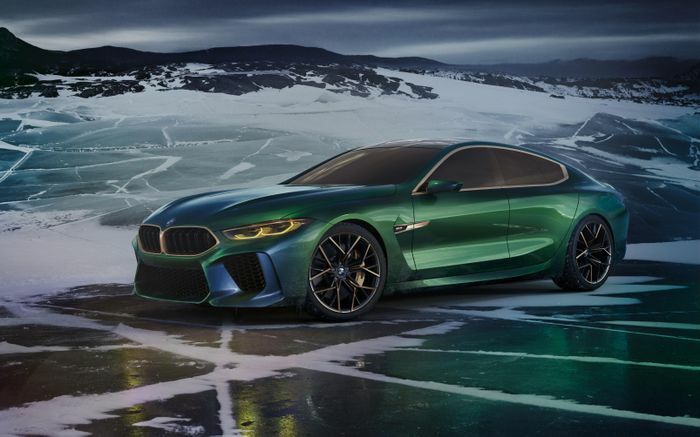 The latter was previewed earlier this year by the M8 Gran Coupe concept (above), which was revealed at the Geneva Motor Show.